Michael Sullivan interviews Tom Scott, CEO Spina Bifida Hydrocephalus Ireland (SBHI), about the work of SBHI, and Carers Week. 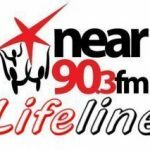 PREVIOUS Previous post: Lifeline Interview with Mark Conlon, who is Running 30 Marathons in 30 Days. NEXT Next post: Lifeline Interview With Niamh Gallagher, CEO of Drinkaware.